Hi guys, I hope you all had an amazing weekend and Monday has not been to painful ? Who knew eating a balance diet is the biggest factor to looking and feeling the best you can ? You can train the hardest in the gym but if you don't have a equal balance with your eating you will not see any significant results. 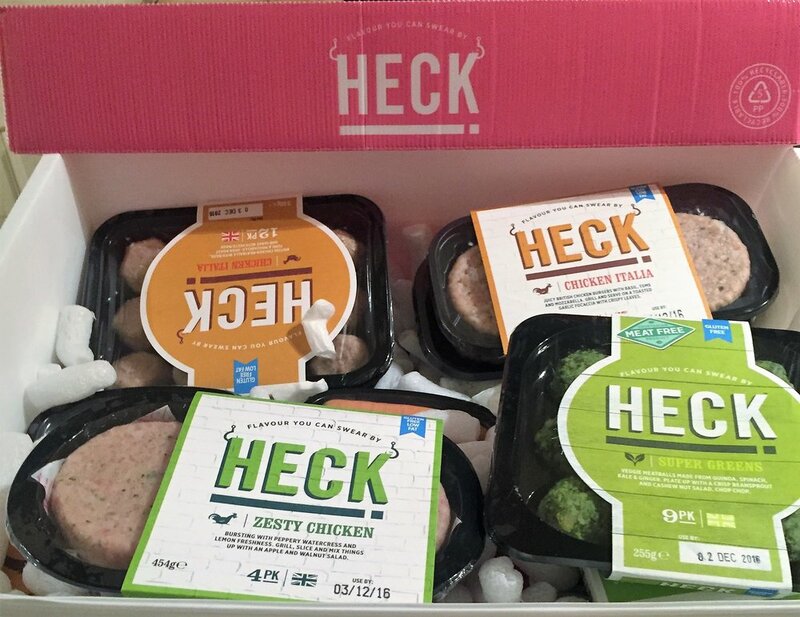 Only last week I received a message from a young lady who works for Heck Food UK wanting to send me a box of their different meat dishes. Me being me I could not say no. So on Friday I received a nicely presented box full of chicken sausages, burgers and meatballs in different flavours. Here's a little bit of information about Heck Food UK . They are a family run business but being small and independent means they do things their way. Such as making burgers, meatballsand sausagesin small batches for better flavour, using the finest ingredients and pulling out all the stops to bring farmers' market quality to your supermarket shelf. They now also do veggie burgers, vegetarian sausagesand ballstoo. I would 100 % recommend you try out our their delicious meat-free range packed with delicious super-food veg. On Sunday my wife and I cooked the chicken Italia burgers. We fried the burgers in coconut oil until cooked through, served with basmati rice, salad and some grilled halloumi cheese on top. All I can say the food is amazing, packed full with flavour. I can confidently say that this is a company who cares so much about their products, how it tastes and how they are presented and the best bit s that it a all completely guilt free. Top marks from me.